Work for Kaspersky Endpoint Security? "Protection at Enterprise level with ease of Management"
We have found it the best solution for Enterprise. Not only it protects All our Endpoints it also achieves better Detection. Easy to deploy and manage through Administration Console with Enterprise level policies. From blocking un-trusted apps to websites all functions are very helpful. Apart from normal security features, Kaspersky has made excellent modifications with Advanced Behavior Detection based on Machine Learning which helps to block malicious actions before they harm your business. For slower PC's it takes too much disk usage during full scan. Plan Enterprise level policy according to the available system specifications and users. We have USB blocked/un-trusted apps blocked using Kaspersky for a pool of users and allowed for others. All security features enabled for PC's with good specifications. A bit reduced functionality for slower PC's through policies. We are using it at Enterprise level for virus protection, blocking of specific applications, usb blocking, distributing software packages. Kaspersky according to me and my clients still remains the most power full, stable, complete and most easy to use security software of the modern age. Its easy to install agents and deployment across all platforms makes it the most recommendable security solution for all virtual environments, physical machines, files and folders and applications. There is not much to dislike although I think the cost can be adjusted a little down wards. I also feel the trainings for technical technicians are too long and not straight to the most reliable points for deployment and trouble shooting. Kaspersky Endpoint Security is the best easy to manage and deploy antivirus across all platforms plus it offers 360 degree support of your entire organization. Among the biggest problem is having an easy setup to most business critical clients. 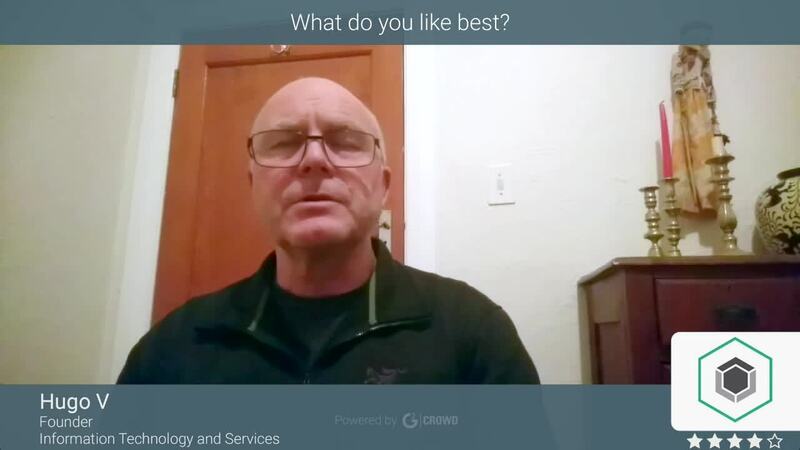 The benefits are really many but being able to have multiple policies from a central server either on cloud or on premise very easily remains one of my biggest to my clients. "Great Antivirus software for Enterprise Environment." Kaspersky is the one of the best antivirus solution in the market this antivirus has many features that supports for prevent malware and the device management features one of the most interesting features are antivirus, web filtering and end user device encryption so within the use of the antivirus you can encrypt your end user devices hard disks for prevent the data leakage this will be additional feature that comes with this endpoint protection antivirus. When situations of running heavy applications on PCs and laptops there is some performance decrese due to Kaspersky endpoint protection and some times blocked the useful applications that want in business in that case we need to unblock those applications manually. Kaspersky is the one of the best solutions for corporate environment with extra features that goes beyond the ordinary antivirus software. you can get the device encryption features, asset management, endpoint management features as extras for the money you pay. This End point Device protection is used as the primary malware protection software for the end user PCS and laptops of our enterprise environment. "Protection for all the workstations on the company"
Setup, install and register to Kapersky Endpoint is absolutely easy, without needing any special technical knowledge to do it. As soon as the workstation turns on, the software stays in the background searching for potential threats that could harm your system. Not only that, but it does this while using low resources. I have Kapersky Endpoint installed on all my devices and it tends to have an issue with my laptop. I have searched online and it seems that Kapersky Endpoint does not support some types of encryption on hard drives. I have not found a particular reason for this to happen. Kapersky Endpoint is a well-suited tool for any company, regardless of its size, and even for personal use, as it will provide all the protection needed for your servers and workstations. Kapersky Endpoint is the software selected on the IT department for protecting all of my company’s workstations, close 150 and of them. It’s very easy to set up and manage that everyone with some experience on computing could do it properly. "Business Computer Systems Protection at its Best"
I like how simple Kaspersky Endpoint Security software looks, yet very powerful. It is easy to deploy and use and does not lag as it is lightweight. This PC security tool, continually monitor our business computer systems both when online and offline and will block and screen out any virus and malware. This keeps our business data safe from harmful files. I also like the reporting feature of Kaspersky Endpoint Security. The notification window only comes up when there are important issues and never interferes with other running programs. It is one of the best tools I have used so far. Though very accurate and powerful hen it comes to detecting malware and viruses, this tool is costly. But good things do not come cheap right? It is worth having. If you're considering Kaspersky Endpoint Security as your business protection solution, then go for it as you will get value for your money. With Kaspersky Endpoint Security, we are able to keep of computer systems safe from virus and malware attack. This ensures efficiency of our computers. "An Effective Endpoint Protection Software"
When it comes to business data and computer systems security, there is no room for compromise and this is where Kaspersky Endpoint Security. It is an easy to use and customize antivirus. This software comes with latest virus definitions and with the regular updates, we are always sure of the best protection. The best part is that Kaspersky Endpoint Security is light on the operating system and therefore my PC never hangs. I also like the deep scanning features that as it helps keep viruses at bay. The notification and reporting features are also very intelligent and never interrupts unless there are threats or updates available. The only problem with Kaspersky Endpoint Security is that it is costly compared to other alternatives. But you're sure to get value for money. There is no better antivirus than Kaspersky Endpoint Security considering the price and capabilities. Go for it! We use Kaspersky Endpoint Security to keep viruses and malware at bay. This ensures efficiency and security of out computer systems. What I like most about Kaspersky Endpoint Security is that it is easy to implement . It is also easy to use and it is a light software which means that it causes no lagging. Also, It works from the background and will not interfere with other running problems. This tool continually scans for viruses and malware when browsing online and one can be sure of absolute safety when surfing. I also like the deep scan feature which scans for harmful files in the computer and produces a report after scanning. Well, although Kaspersky Endpoint Security works really well, it is a bit pricey compared to other options in the market. Kaspersky Endpoint Security is a must have to keep your business computer systems safe and optimal. I highly recommend this software. Kaspersky Endpoint Security help keep business systems safe from harmful viruses and malware. "A Very Powerful Endpoint Security Antivirus"
Implementing Kaspersky Endpoint Security is very easy. Using and understanding it effortless and you need not be an IT expert. Thai tool does great when it comes detecting malware and viruses. Whether am surfing or using external drives, am sure that my computer system is safe from harmful viruses and files. The best part is that Kaspersky Endpoint Security comes with a deep scan feature to keep computer systems free of viruses anytime. I have no issues with how Kaspersky Endpoint Security functions. However, the price is on the high end. If you or your business is shopping for an endpoint security software, then worry no more and implement Kaspersky Endpoint Security. It is among the best in the market and will surely do you justice. We use Kaspersky Endpoint Security to keep viruses and malware off our computer systems. The interface is well organized and has all the comforts you can imagine. The main objective of Kaspersky Endpoint Security is to protect our computers against all types of malware, including viruses, Trojans, spyware and rootkits, whether they are already on your hard drive or presented through the web, email or USB drives or removable optics. 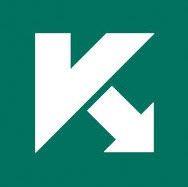 Safe browser for banking and financial websites, Kaspersky Endpoint Security launches its own browser when you visit financial or banking websites. As I understand, encrypt everything through this secure browser. I think there's not much room to improve. But probably the user interface could be fresher. Probably, something more "Futuristic" but keeping the essence of a business application. Remote Client Installation of Kaspersky Endpoint Security is both quick and simple and it features a simple and easy to use interface. It is being used throughout the organization, by our users, who currently only notice when the solution is not updated automatically, because the icon turns red. He helped us a lot with malware, Trojans and other operating system problems, and blocked some things to enter our network. It was always easy to install and deploy. It protected our computers from all types of malware and viruses. We could run and analyze the system whenever we wanted to, although the decision of what to do with the threats was controlled by the policy. It had an easy way to configure and use interface. It was always hard to determine which items you need to download and update.This happened whenever the security center told us that there were knew versions. I would recommend Kaspersky for personal and business use. Sometimes deployment could fail for various reasons but they didn't give us a good enough description for where the problem was. It helped me manage multiple servers and workstations on a network. It had a very good security center to assist with management. It was a useful too and made my job much easier. I like Kaspersky Endpoint Security because of its accuracy in detecting hackers and hacking behaviors. This amazing tool has been protecting our computers for long. I also enjoy using it because our computers cannot be attacked by viruses when it is running. It has phenomenal features. Some small businesses cannot afford Kaspersky Endpoint Security because it is not that cheap. They should make Kaspersky Endpoint Security more affordable to accommodate upcoming businesses and entrepreneurs. It is advisable to keep your computers and data well-protected to avoid losing it hackers or competitors. Kaspersky Endpoint Security is the most accurate and effective malware protection software that you need to purchase. Kaspersky Endpoint Security is effective because it makes sure that our data and computers are 100% secure from hackers and other malicious things such as malware. The tool is accurate. "A really good client protector. " Kaspersky Endpoint Security was being used by our entire organization, from the receptionist and support staff all the way up to the managing partners. Because we dealt with highly sensitive information and most of our communication was done through email, security was of the highest importance. They chose Kaspersky for this purpose, to protect the entire firm from various phishing attempts (and it was successful). It was also very easy for all of the staff to use which gave everyone an even better piece of mind. And the fact we could set it up so that it would stay updated as long as the user restarted their computer was a perfect touch. Not happy with the way new versions of Kaspersky are released. The Security Center will tell you there are new versions, but it's very difficult to determine which items you need to download and update, for some of the encryption features we want to be able to update the version automatically instead of needing to decrypt th workstation, install the update and then encrypt. It is best suited for small companies that have older operating versions, at least for Windows based OS. If you have a company where the computers are only utilized for in house applications and very little web surfing, Kaspersky Work Space Security would be appropriate. We utilize Kaspersky Endpoint Security enterprise wide as the solution of choice for our ongoing threat protection solution. In our industry as well as throughout other organizations, the constant evolution of the cyber threat continues to present challenges that can have detrimental impact across the network. The dependency on this product is high and it has provided a solution defense with minimal disruption to business operations. "Very good security platform, impeccable protection for viruses and spyware for my entire network. " It is easy to use and has some robust features. It works well in the background and does not exhaust the resources of your machine like some of the other antivirus programs that I have experienced in the past. They seem to stay ahead of the curve when it comes to threats and their virus definitions are kept up-to-date. It is configured based on group policies, the user also has a console to run and analyze the system whenever they want, although the decision of what to do with the threats is controlled by the group policy, which guarantees that nobody can lose a threat by mistake. For the most part it does what we need. We would like it to have better integration with Active Directory. We had to build the organizational structure in the tool rather than it just coming in from the OU structure that exists so now we have to update in multiple locations. They have also been slow to support Windows 10 which is delaying our ability to roll it out. The best thing about this product is its ability to successfully identify malicious processes and files. He has constantly identified malicious objects where other products have provided a false negative. for this I recommend it. The solution has consistently exceeded our existing solutions provided by large box providers and has identified malicious files that have been deemed clean by multiple AV engine and sandbox solutions that evaluated the file before reaching the endpoint. This was the most powerful, stable and most easy to use as a security software when I was employed. We did most of our communication via emails and Kaspersky provided the best security services. The research team was always updated in case there was a new virus. It did a great job of Malware and virus definition updates. This software was expensive and not everyone can afford. In its every new version there was always a problem with RAM usage and extremely high CPU. Endpoint ran very well as a background service. It provided a fairly seamless security service without slowing down system resources. It is best for individuals and businesses. Price was not that cheap but the services were great. It was mostly used to secure laptops and computers for uses in multiple locations. "The best software for protecting your computer." Kaspersky is the best antivirus software in the market. I have used this software for long and since I started using it my computers are protected from the many viruses and malware that destroys personal computers and data. It is so easy to install this software and once you install it you renew it after one year not as frequently as the other softwares that are available in the market which needs to be renewed from time to time. This software is expensive as compared to other softwares like Avira which is free, but it is worth it. This is the software that everyone needs so as to ensure the security of your computers and data. Data protection and protecting my personal computers. User interface is friendly, and easy to familiarize oneself with if youve ever used an anti virus program in the past. Seems similarly laid out to McAfee's old software. Lots of trouble with billing and cancellations, from what I've been told. From a user standpoint, it's invasive and restrictive and all too often causes programs to crash. And stores WAY too many log files! So much so that it crashed one of our local desktops! Consider all of your options first, and put customer service at the top of your requirements list. Kaspersky security is used on all PC's in our company that run on Windows and are connected to the internet. It serves to protect our data and computers from harmful viruses, especially those from email sources/phishing schemes. "Best experience with kaspersky Endpoint Security"
Kaspersky antivirus remains my number one systems protector from all sort of viruses. It is easy to install and use.It does not need much storage space in the computers. It comes with additional features that that makes kaspersky Endpoint security more convenient at all environment. There is no much that I dislike from kaspersky Endpoint security though it takes much space when it runs in the laptops and computers thus lowering their performance. I do recommend people to use it since it is easy to use, accessible, and affordable in the market. Kaspersky Endpoint security is the most effective antivirus that I have ever experienced. It is compatible with most systems at all corporate environments. It is easy to use . "Kaspersky Endpoint Security is a great product!" Kaspersky Endpoint is has an easy to configure and use interface, making it easier to train end users on its features. Kaspersky does a great job of malware and viruses definition updates which keep systems up to date on the latest security updates. Not happy with the way new versions of Kaspersky are released. The Security Center will tell you there are new versions, but it's very difficult to determine which items you need to download and update. Anytime you are managing multiple servers and workstations on a network, having a good Security Center to assist with that management is critical. Kaspersky Security Center provides that and gives the administrator the tools and reports necessary to properly manage and monitor these systems across a network. This is a VERY useful tool and it makes my job much easier. Very user friendly, gives great insight to almost every aspect of your servers, network, workstations and users. I like updates and security patches to software that is on the workstations and servers in my network and will present themselves for installing/application. Easy to setup, use, understand. Solid AV. The UI doesn't quite fit in with other business software, but that's a minor thing. Would highly recommend Kaspersky for personal use. We had a few difficulty with the initial deployment.
" Safe tool for working in the work environment"
My experience has been quite positive with this antivirus. It has allowed me to work with total security, updates the threats at the moment and gives me a lot of security to be able to dedicate myself to my tasks. Highlight the speed in the process of information, for example when I have to save my files and documents in pendrive format updates the information in a very short time scanning and wiping malware from the mime. The least I liked and I think it should improve is the user interface. In my view it should be more modern and implement new features as you have your main competitors with links to the cloud. Very competitive price in the market and high quality of a powerful antivirus that allows to work efficiently and safely. Good choice among the antivirus in the market. The implementation in my company was quite fast. The technical support solved in a very short time some problem of integration with the firewalls that my company uses. Great quality and professionalism in the treatment and product at the height of the price. "A Constant Contender in the Antivirus Market"
Kaspersky has always had the highest detection rate for me. It is also one of the most lightweight antivirus softwares, (with the exception of free virus protection solutions like Avira or Bitdefender Free). 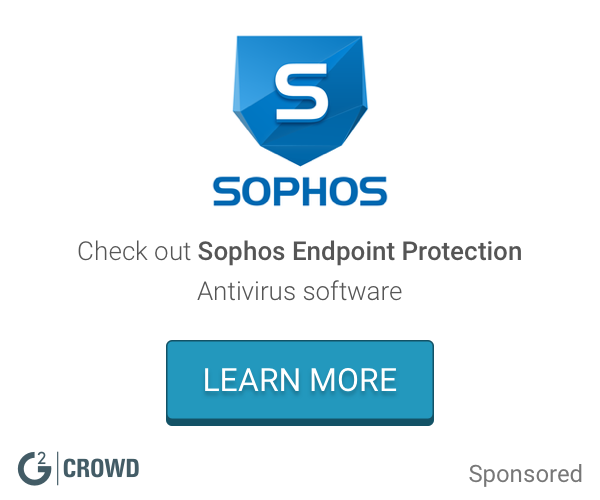 I do not skimp on antivirus however, so the endpoint security serves the right balance between the two, for me. Why you must choose a paid antivirus such as the End point security package, is because hardly any free softwares provide all of - web protection, malware protection, mail protection etc. Bottom line, this one will keep you safe both on the internet and off it. It is also priced on the higher end, and most people may not be willing to dish out money on antivirus, especially now that the free solutions have been proven to be performing just as well in most aspects. I recommend you get the EPS if you are on a shared computer. Even if you aren't the performance hit that comes with EPS is negligible compared to the increased effectiveness of threat detection. Alternatively, you may always tr one of the free solutions and see if they work for you, before investing in the End Point Security. The event log and quarantine are just how I'd have liked them to be. I allow Kaspersky to take all the decisions it needs to, and check in on the event log later to restore anything that may have been accidentally been identified as a threat (which is rather rare, unless you regularly use pirated software). It is excellent because it helps in blocking of unnecessary, viruses and any other information which is not permitted in the system. It provides maximum security,requires less knowledge and it is easy to use. It has large storage memory and expensive. Well established and the up coming business enterprise which have embraced the old and new computers the best way of protecting them against the viruses and other unnecessary information is by choosing wholeheartedly the use of Kaspersky endpoint security which is providing almost maximum protection. Helps me to keep my system safe from viruses; thus lowering the maintenance costs for my computers. "Great protection, poor administration console." It just works for endpoint. After it's setup properly to whitelist a few things your users need, it will just run without any problems. Administration console is a nightmare. Slow and clunky. It's excellent for end users but management is poor for an administrator. It's slow and hard to manage. Sometimes deployments will fail for various reasons but they dont give you good enough description for what is going on. Providing excellent endpoint security for our Windows machines on the domain. Kaspersky was the most powerful, stable and easy to use software. The interface was well organized and had all the comfort you could think of. It protected our computers from all types of malware and viruses. This software was expensive. The new version had a problem with RAM usage and high CPU. I would recommend this tool anyone to try one of the free solutions and see if it would work for you before investing in it. It provided an excellent endpoint security for our windows machines. Kaspersky security center really helped us with managing multiple servers and workstations on a good network. It made our work easier. Very user friendly, gives great insight to almost every aspect of your servers, network, workstations and users! I especially love that Kaspersky actively searches for updates and security patches to software that is on the workstations and servers in my network and will present themselves for installing/application. Occasionally I have to delete Kaspersky completely from a workstation to wipe out the databases because of corruption and/or the storage size exceeds hard drive space with windows 7 install (80 GB hard drives), but the process of uninstall and then reinstall only takes about 10-15 minutes and you can do batch computers if need be so it really is only a small dislike. This is very intuitive software, moderate difficulty setting up, but once in place is the perfect tool for any business whether you have 10 employees or 1000. "It seemed ok when we had it"
It was always in the background you never even know it was out there. When we got rid of it and replaced it with another program, the uninstall program did not remove it off all the machines so we had 2 different anti-virus software running on some pc's at the same time. Took a while to figure out what was causing them to be so slow. Research VERY carefully. NBC news claimed a few weeks ago that Kaspersky was somehow linked to the Russian hackers, providing them a back door into unsuspecting systems leaving people vulnerable to ransomware etc. Kaspersky is an anti-virus, spyware, malware software. We loaded it on all of our machines and it seemed to work pretty well while we were using it. The benefits were that our network and our data were being montiored. "Solid, reliable and low maintenance. " What I like best about this product is the ability to run behind the scenes. This product is very low maintenance but is also highly reliable. For users that are on the computer 80% of the day it is very important not to bog down the system, which this does not. On top of this it works! You can customize what scans you want to run or set it all up manually. I wish there was a feature that could push updates to computers that have not been scanned in awhile. Unfortunately the user is responsible for manually scanning their computer after the auto update accidentally gets disabled. This can be challenging if the user goes on vacation or is somewhat computer illiterate. I would highly recommend this product to any company looking for a quick and easy solution to their protection needs. I have not used this for a personal computer but I am confident that it will be satisfactory for that use as well. The main problem we are solving is protecting our network in a reliable and cost effective way. The best benefit of this product is the ability to set it up and let it all run in the background. My only concern is the lack of pushing updates to separate machines. Kaspersky is the best antivirus software to this day, always was, always will (i hope so). It offers a great protection against viruses and spywares. For the first run it is necessary to run a full scan, which is taking forever, to make the system protected. i am using it for more than 10 years and i have never had a problem with virus or spyware. Kaspersky is fast to neutralize any threat from a removable drive (flash or external hdd). Price seems a bit too much but it's very well worth it. From the very early version kaspersky is having a problem with extremely high cpu and ram usage. Yes it needs to run all the time but 90-99 cpu usage is insane, it could be a compatibility issue with a certain driver or software. Many people dislike Kaspresky because of high cpu/ram usage however it has the biggest virus database and it's worth it. Mine company start to use it recently. Price ain't cheap but after a recent problem with viruses which causes a delay on certain projects we had to buy it. I like how simple it is to use and install. My background isn't technical, but I haven't yet at any point struggled with setting it up and updating it. It also has low RAM usage, so it runs without any burden on other programs. It's great at detecting malicious websites, reporting and alerts are efficient without being overly persistent and irritating, and it keeps my computer safe with basically no effort on my part. I don't do much of the setting up myself as I'm just a user, so I wouldn't have any recommendations. I haven't had to modify it or improve it in any way since setting up initially. Keeping our information safe without overburdening our laptops and systems. "A powerful, robust security system for business users"
Kaspersky Endpoint Security offers a powerful and robust system for securing systems in a business environment. Its scanning and detection engine handles most threats easily and is well developed to deal with new threats that continually come down the pipeline. The program is also easy to use as an end user. its encryption system does a very good job of securing sensitive files without a performance hit on most systems. Endpoint also has great administrative tools for setting up the program and for ongoing maintenance purposes. As an added plus, the program also works with other non-Windows systems which can be highly valuable in a mixed system OS environment. Installing Kaspersky Endpoint Security can be tricky on some systems, especially on some systems based on Windows 10. For certain needs, Endpoint can be lacking in areas. It lacks some features for spam filtering and FTP networking needs. When installing updates, the program can be a bit slow as well. Endpoint really runs well as a background service and is barely noticeable by most end users. It provides a fairly seamless security service without downgrading system resources. Currently the program is being used to secure laptops for long distance uses in multiple locations. "Really good AV for Business"
Kaspersky is a really good solution for business. There is so much cosutomization we can do compare to our olde AV Microsoft Endpoint. Our user are mostly Dev and the need all the gorsepower than can get. with Kaspersky, the scan can take a while longer but it doesn't affect much the poerfomance of the computer. We don't use the smartphone tools, but i tested them and they work great. We like the fact that Kaspersky is multiplatform. Also it has a better detection rate than the MS antivirus. We need better support for Linux. We had to deactivate the webfiltering and spam module because they were interfering with ours systems. It's really user frendly even the the admin interface. We also needed a better AV the MS Endpoint because of the detection rate. After having used many other anti-virus software products, I find that Kaspersky is the most reliable and the most intuitive to use. It's perfect for both individual and business use, and can be navigated in a matter of seconds. You can perform full computer scans with it running in the background without even knowing a difference in the performance of the computer. Kaspersky's renewal system was a bit clunky at first, need a key code, but now that the renewal is complete, it's smooth sailing. Kaspersky provides first-rate anti-virust software for businesses and individuals. We use Kaspersky to protect all of our business computers. The application has great functionality, the design is sleek, and overall it gets the job done when it comes to protecting our computers from viruses, malware, and any other third-party application that is trying to breach our systems.
" A serious solution Antivirus against security threats"
Kaspersky Endpoint Security is a serious solution for businesses and corporate environments. For network administrators and heads of information security it is more support in their tasks, as for its ease and versatility in handling and different levels of configuration streamlines the protection of the network and its computers fast and safely . Its also worth noting that antivirus engine, database, and pattern detection capabilities against new security threats is unique and much better compared to other existing corporate antivirus solutions on the market. Sometimes it is difficult to make deployments installation, especially on computers with Windows 10 and Windows Server 2012, also sometimes complex becomes properly install antivirus on computers when an installation is incomplete or sometimes the computer is not within the domain. Compatibility with MAC OS is not the best, not offer any innovative solution. It should be well-planned deployment and maintenance antivirus company otherwise it can be a real headache. 1) It is easy to deploy an entire network, however it is good that you have made a previous maintenance teams and erasing the temporary cache of other applications. 2) It is preferable to have a network share for cases where sometimes the agent installation does not work properly. 4) I suggest you migrate your entire network to 10/100/100 both network cards, swichtes, Wlan and also use better wiring and network points certified to have greater efficiency in its network and avoid bottlenecks that can have because of updates, remote scanning or deployments from the antivirus console. 5) Set up best: updates, scans computers and network as well have a plan update obsolete applications or outdated, also set by GPO that users can not disable the antivirus or change your settings for safety. This in order to prevent all users at the same time report or demonstrate they have slow computers. Deployment of Kaspersky within AD made simple. Management and monitoring of both managed and non managed devices on the domain is a plus. Kaspersky end point allows for quick visibility of what is needed for protection. If Kaspersky is innocent, this "dislike" is doing the company dirty but with the recent events of Russian corruption, and Kaspersky being a large Russian company, to be quite frank, kind of made me paranoid of Kaspersky "spying" This dislike may not be fair. Quick and easy but effective deployment as well as monitoring of all devices on the domain make it a powerhouse when maintaining the protection of your assets across your company. "Un super antivirus davvero efficace"
Chiamarlo solo antivirus è poco. Dopo averne provati tantissimi ritengo che Kaspersky antivirus sia assolutamente uno dei migliori se non il migliore antivirus in circolazione. Kaspersky Endpoint Security posso dire che si adatta benissimo sia per un utente privato che per le aziende. Il sistema di aggiornamento lavora benissimo ed è davvero silenzioso e funziona effettivamente e lavora proprio in background senza dar alcun minimo fastidio. A volte ci sono tantissimi falsi positivi ma tramite la gestione avanzata e impostando la white list si risolvono tutti i problemi. Per l'installazione ho notato che il tempo impiegato era davvero tanto. Non ricordo di preciso ma ha messo circa 15 minuti durante i quali il computer era quasi inutilizzabile per la lentezza dovuto all'installazione di kaspersky. La stessa cosa quando entra il azione Kaspersky Endpoint Security per un file o cartella sospetta appare un popup di avviso e il computer inizia a rallentarsi notevolmente. La sicurezza prima di tutto con questo antivirus è davvero garantita. Continueremo ad usarlo e rinnovarlo. La protezione mail funziona ed è impeccabile e non passa alcuna mail con malware o virus. L'interfaccia utente è funzionale ed è semplicissima da usare sia per impostare esclusioni che per controllare le varie opzioni. "Seems to do its job"
This is really a background program that is monitored and facilitated by my company, I don't have to do anything to use it, which is great. Sometimes it pops up unexpectedly without having any concerns or threats detected? Seems to do its job, I haven't had any concerns or problems with it. My company must have chosen it for a reason. I have no idea how much they pay for it. Its owned by a Russian company, so there are thoughts that it could be influenced by the Russian government. If you are ok with using a Russian security company, I can say with full confidence that they have the best malware product on the market. Virus, adware and malware issues have decreased significantly since we migrated to Kaspersky. I personally commend Kaspersky as the best solution. It has a high detection rate and deletes malware & viruses found in the system. It scans the whole system and provides security during surfing. it's easy to install too. Kaspersky is a quite pricier though best security solution. Has no more dislike of the software as it's operation is phenomenal. Kaspersky protects our organization PCs from malware and viruses. The security protects PCs during surfing and sharing of files using external storage devices such as a flash disk. sy to use antivirus, very effective, with excellent analysis, which allows you to provide complete and secure protection, perform a quick and complete analysis, with a simple interface and has an excellent level of response and speed in the solution to new viruses. Kaspersky Anti-Virus area unit its exceptional level of virus detection and high-speed scanning, simply distinctive it from its competitors and garnering ending, supply a high level of virus detection and deletion, permitting every user to settle on his/her acceptable anti-virus defence. users of this opposed-virus say that the firewall compatibility and also the anti spam elements of this program has to be improved although the antivirus is that the best once it involves virus detection, users say that this antivirus lacks in its ability to dam unwanted content from websites and this feature has to be else to confirm management over sites being accessed from a system. it’s user friendly interface and sensible graphical read, proactive defense part is that the main advantage of this program created to research the behavior of put in program, to watch changes within the system written record, trailing macros, and stop from the hidden threats. Kaspersky not solely defend your pc from viruses, however additionally from the network, like stop ad-ware spywares, and stop viruses spreading from e-mail attachments and then on. "Secure protection and Simple management." I have been using this tool for years and I have to recognize that the speed of the application is very efficient. It is managed centrally through a single console and the operation is very simple and intuitive. One of the negative points that I have been experiencing is that updates are not as frequent, however the speed of blocking possible threats is in real time and resolves any incident. If the client is looking to remotely manage the security of several endpoints, mobile devices and file servers, you can do it from anywhere with this application very quickly. "Easy to Use Total System Protection"
Kaspersky is among the top products that I value in a workplace. Unlike other protection suites, I truly never know it's running. It's quick, quiet. No bothersome notifications if you choose. No random slowdowns. No hogging of resources. It just does its job peacefully. Maybe it's a little too quiet notification-wise. A nice medium should be available where the system isn't being a nuisance, and yet is still keeping the user informed of situations. I simply love it. I couldn't recommend a service more. I've tried Norton, I've tried McAfee, I've tried free solutions. None of them match up. Keeping users and networks safe while still connected at all times. "Sometimes I wonder if Kaspersky is worse than the virus." It has a great central management system, and it is easy to configure. The software never seems to keep up with the latest Windows versions, and sometimes it will freak out and lock up a bunch of computers. Until they are able to better keep up with the newest Windows versions and improve their quality control, I would look for another product. We use it to protect against viruses and malware. It seems to mostly do its job, but it still lets through malware from time to time. "This is the security software used at my work"
I like the functionality of the product because it is unnoticeable. Which is how an anti virus software should work. It runs in the background protection my computer at work and home and I have never had a problem with any harmful malware or viruses getting to my computer or files. There is no ads or tool bars that popup and pollute my screen which is nice. My computer has seemed to work a little slower since I downloaded Kaspersky. I do think it has done a great job protecting my computer but I might be sacrificing a little in performance having this installed on my machine. I would recommend this as a good choice for back end security that is easy to sue and does not hassle you with pop ups and ads. Laptop security and security for computers at my job. "A best antivirus to use"
I have been using Kaspersky from more than one year and experienced better use of it. It gives good protection. It runs in the background with full protection. There are no malware or threats found after using this. Supports good internet security by blocking many of the malwares. A high speed scanning. Also gives up to date security details. After installing Kspersky my system became little slow and even internet seems slow. Not 100% Malware detection, there are still some malwares. Sometimes install of other softwares blocks due to firewall block. A best antivirus to use, go for it. I have experienced other antivirus too, but Kaspersky seems high protection. I am a user of kasperksy from more than year, It seems great antivirus. Even in our college lab Kaspersky is used as primary antivirus. 1. It provide security for entire network and all endpoints. 2. It provides best system administration tools. 3. Kaspersky endpoint protection is an excellent choice for those who need to lock down data for compliance requirements. 4. If smartphones or laptops are lost or stolen, administrators can wipe the memory of critical data (even if the SIM card is changed). 5. Kaspersky offers online on-site and remote assistance. 6. Kaspersky can help you seal up network gaps to completely protect critical data and endpoints. 7. It protects all endpoints, including PCs, remote PCs, virtual technologies, file servers, gateways, smartphones, Macs, Linux-based devices and storage devices. 1. Laptop is slow after installation of Kaspersky antivirus software. 2.FTP mode is not supported. Best antivirus software recommendable to use which provides security to your personal laptops/PC as well as your business application machines. 1. Best anti virus which protects my laptop. 2. It will do quick scan of my laptop in a less time. 3. Good online helpful documentation. 5. Kaspersky Total Security provides numerous tools to manage routine tasks. "Review for Kaspersky Endpoint Protection SP2"
This version is lighter than previously. Additional, the anti-malware engine is most accurate. The administration console is most friendly and easy to use than the previously console. The firewall blocks connection for many applications that are permitted and listed as trusted. Protect workstations and server from malwares. Block access to unwanted websites. Block a list of unwanted applications. It is a very good security specially for little companies or companies that are starting up. It mantains your files secure. I don't have anything to complain about it, may be the UI is a little "oldy". It's easy to use and give professional security to a small company. While I used it, it mantained my computer and my laptops out of viruses. Its database is actualized. "Bland Is the New Black "
It could be a bit more visual in its reporting suite, data visualization is almost non-existent in this product. It is an easy add-on tool that even the least tech-savvy person in the office can make good use of with virtually no training. Basically, it runs quite well in the background. Learning about Kaspersky Endpoint Security? * We monitor all Kaspersky Endpoint Security reviews to prevent fraudulent reviews and keep review quality high. We do not post reviews by company employees or direct competitors. Validated reviews require the user to submit a screenshot of the product containing their user ID, in order to verify a user is an actual user of the product. Hi there! Are you looking to implement a solution like Kaspersky?